ORLANDO, Fla. - NFL Pro Bowl Week kicked off Wednesday with the opening of the Pro Bowl Experience at the ESPN Wide World of Sports Complex at Disney. Organizers of the event described it as an interactive football festival designed for fans of all ages. The AFC and NFC teams competing in the Pro Bowl are scheduled to hold practices at the complex through Friday. In addition to seeing NFL stars up close, fans can compete in several skills challenges, including a 40-yard dash and precision passing. "The fun thing is that people get to pretend that they're in an NFL combine," said Jose Mola, general manager of ESPN Wide World of Sports. "They get to virtually run against an NFL all star and see how they match up against each other and maybe match up against the pros." Several fans were on hand, giving the experience a try. "We're big sports fans here. We had a great experience last year, so we're back for another year," said Adam Persiani, who's visiting from North Carolina. "It's a great setup for the kids, and I'm a big kid at heart, so I enjoy it as well." The NFL Football Celebrity Flag Game is also being held at the event at 6 p.m. Friday. The Pro Bowl Experience runs through Jan. 26 at the ESPN Wide World of Sports Complex. This is the third year in a row Orlando has hosted the Pro Bowl, which moved from Hawaii in 2017. The game is in the last year of a contract at Camping World Stadium. 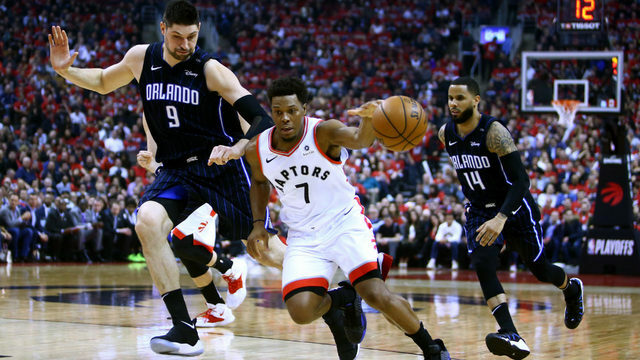 Officials haven't said if the all-star matchup will return to Orlando next year. "I'm hoping it stays in Orlando because, of course, it's a short ride for us," said Richard DeJesus, of Lakeland. The Pro Bowl is scheduled to kick off just after 3 p.m. Sunday at Camping World Stadium. Watch News 6 for more Pro Bowl coverage.